Cambridge Institute is a private educational center specialized in language training, mainly English, Spanish, French and German, with a proven experience in the sector and international coverage. Our work methodology is guaranteed success for the students who are committed to our training programs, to whom we offer quality, innovation, and a teaching plan completely adapted to their needs. With this philosophy, Cambridge Institute now stands at the forefront of the sector and works daily with the determination to occupy this position even in the future, by earning the trust and respect of our students. We offer a broad portfolio of services to facilitate language learning, both for daily use and for work. Moreover, we bet for an active participation of our students and the balanced development of the basic skills of any language: listening, reading and writing. 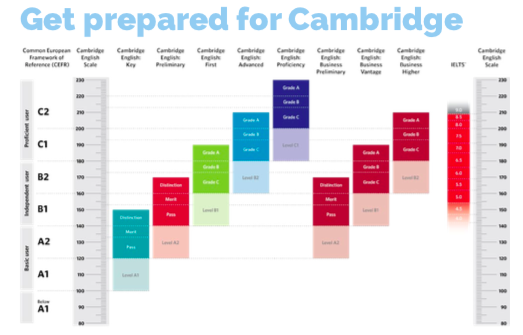 Whatever course you choose, the main goal of Cambridge Institute is to optimize the potential of our students with the best resources. We are backed by our experience and international prestige, which are the result of years of hard work. Still haven't planned your holiday? Cambridge Institute presents an offer you cannot refuse. If you wish to study Spanish while enjoying an UNFORGETTABLE HOLIDAY and discovering the country's culture, Cambridge Institute is what you´re looking for. In this school, we offer a wide variety of training programs according to your needs in the heart of the Spanish culture: Madrid. Take advantage of this opportunity! Come and improve your Spanish in Madrid, meet people from all over the world, and enjoy the climate, the food and the charm of the Spanish capital.